Rob is exactly right, this is not a full-feature 3D program. Those will cost you 4 to 20 times as much. I was a Cust Rep for teaching Bridgeport Machines EZ-CAM ($1200) program. A complex part for machining on a mill could be drawn in maybe 10 minutes. A windows patch broke my copy, so I have been looking for a CAD program to replace it. 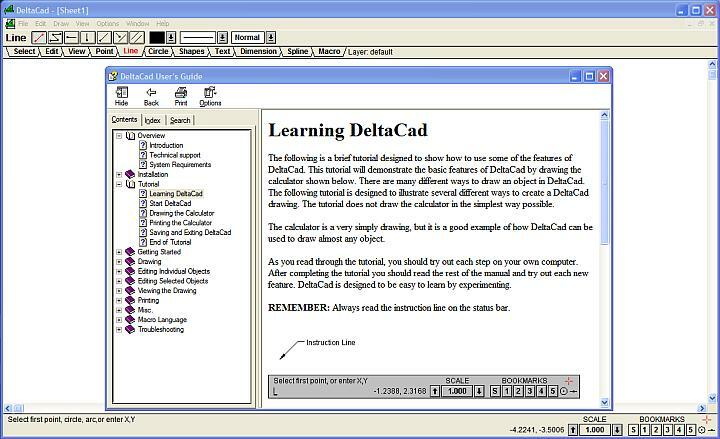 I have tried a lot of freeware and demo programs, but only DeltaCAD had the same drawing features and ease of use. If you need more than this program offers, plan to spend more money. A LOT more.